283010 6F240 Stork 6F240 diesel engine Spare parts catalog, Service (workshop) manual , Additional technical information. 283020 6FDHD240 Stork 6FDHD240 diesel engine Spare parts catalog, Service (workshop) manual , Additional technical information. 283021 9FDHD240 Stork 9FDHD240 diesel engine Spare parts catalog, Service (workshop) manual , Additional technical information. 283030 8FFHD240 Stork 8FFHD240 diesel engine Spare parts catalog, Service (workshop) manual , Additional technical information. 283031 9FFHD240 Stork 9FFHD240 diesel engine Spare parts catalog, Service (workshop) manual , Additional technical information. 283040 6FGHD240 Stork 6FGHD240 diesel engine Spare parts catalog, Service (workshop) manual , Additional technical information. 283050 6FHD240 Stork 6FHD240 diesel engine Spare parts catalog, Service (workshop) manual , Additional technical information. 283051 9FHD240 Stork 9FHD240 diesel engine Spare parts catalog, Service (workshop) manual , Additional technical information. 283060 6FHD240F Stork 6FHD240F diesel engine Spare parts catalog, Service (workshop) manual , Additional technical information. 283061 9FHD240F Stork 9FHD240F diesel engine Spare parts catalog, Service (workshop) manual , Additional technical information. 283070 6FHD240G Stork 6FHD240G diesel engine Spare parts catalog, Service (workshop) manual , Additional technical information. 283071 8FHD240G Stork 8FHD240G diesel engine Spare parts catalog, Service (workshop) manual , Additional technical information. 283072 9FHD240G Stork 9FHD240G diesel engine Spare parts catalog, Service (workshop) manual , Additional technical information. 283080 6SW240 Stork 6SW240 diesel engine Spare parts catalog, Service (workshop) manual , Additional technical information. 283081 8SW240 Stork 8SW240 diesel engine Spare parts catalog, Service (workshop) manual , Additional technical information. 283090 6SW280 Stork 6SW280 diesel engine Spare parts catalog, Service (workshop) manual , Additional technical information. 283091 8SW280 Stork 8SW280 diesel engine Spare parts catalog, Service (workshop) manual , Additional technical information. 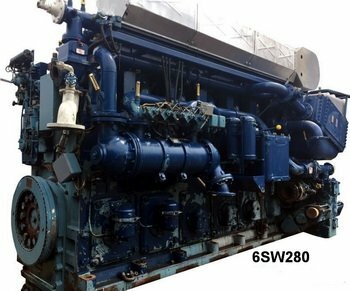 283092 9SW280 Stork 9SW280 diesel engine Spare parts catalog, Service (workshop) manual , Additional technical information. 283093 12SW280 Stork 12SW280 diesel engine Spare parts catalog, Service (workshop) manual , Additional technical information. 283094 16SW280 Stork 16SW280 diesel engine Spare parts catalog, Service (workshop) manual , Additional technical information. 283100 6TM410 Stork 6TM410 diesel engine Spare parts catalog, Service (workshop) manual , Additional technical information. 283101 9TM410 Stork 9TM410 diesel engine Spare parts catalog, Service (workshop) manual , Additional technical information. 283110 6TM410B Stork 6TM410B diesel engine Spare parts catalog, Service (workshop) manual , Additional technical information. 283111 8TM410B Stork 8TM410B diesel engine Spare parts catalog, Service (workshop) manual , Additional technical information. 283112 16TM410B Stork 16TM410B diesel engine Spare parts catalog, Service (workshop) manual , Additional technical information. 283120 6TM410C Stork 6TM410C diesel engine Spare parts catalog, Service (workshop) manual , Additional technical information. 283121 8TM410C Stork 8TM410C diesel engine Spare parts catalog, Service (workshop) manual , Additional technical information. 283122 9TM410C Stork 9TM410C diesel engine Spare parts catalog, Service (workshop) manual , Additional technical information. 283123 12TM410C Stork 12TM410C diesel engine Spare parts catalog, Service (workshop) manual , Additional technical information. 283130 6TM410D Stork 6TM410D diesel engine Spare parts catalog, Service (workshop) manual , Additional technical information. 283131 9TM410D Stork 9TM410D diesel engine Spare parts catalog, Service (workshop) manual , Additional technical information. 283140 8TM620C Stork 8TM620C diesel engine Spare parts catalog, Service (workshop) manual , Additional technical information. 283141 9TM620C Stork 9TM620C diesel engine Spare parts catalog, Service (workshop) manual , Additional technical information. 283200 DRO218K Stork DRO218K diesel engine Spare parts catalog.